Node.js v6 transitions into a Long Term Support version that will be maintained until April 2019. 6.9.1 is now out due to a regression. publish-diff produces a prepublication text diffs of what is about to be published versus what is currently in the npm registry. Graph custom Node metrics, correlate with metrics and events from the rest of your infrastructure, and set sophisticated alerts on app performance. 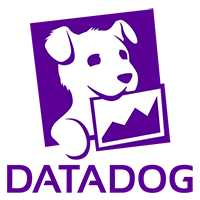 Get started with Datadog in minutes. Node’s LTS will be transitioning between v4 and v6 over the next few months - this is a thorough reference to all the changes for anyone who needs to audit their apps. An entry-level introduction to building a Facebook Messenger bot with Claudia Bot Builder. Node-RED is becoming a project within the recently announced JS foundation. How to build a distributed application with ZeroMQ and Node. How Yarn holds up on Travis, Snap CI, Semaphore, and Circle CI. A look at how the team behind the npm service deploy code (it’s a simple git push on the surface, but a lot happens behind that). Determine in realtime what’s happening inside your app from the terminal.